WHEN YOU LOOK FOR HELP WE ADVISE YOU TO CHECK THE. WE FIX AND REPAIR MOST CAR MAKES AND MODELS OLD OR NEW. WE WILL PROGRAM ALL OPTIONS YOU HAVE IN YOUR VEHICLE INCLUDING MILEAGE, ENGINE HOURS. LKQ SKU: LKQ325 ~213006946 EBYUNK. We do our best to prevent these issues from happening and apologize for any inconvenience it may cause. Vehicle Model: Five Hundred. Vehicle Make: Ford. Vehicle Year: 2006. YOUR PART NUMBER MUST MATCH!!!! Can't stress this enough!! MOST clusters also need programmed to the vehicle. Contact us for our plug/play service or any other programming questions. Please read the ITEM DESCRIPTION body!. Vehicle Model : Five Hundred. Vehicle Year : 2005 - 2007. Vehicle Make : Ford. A picture is worth a thousand words. 04 05 Nissan Maxima variable speed wiper switch OEM. You are responsible for making sure you are ordering the correct part for your application. All parts are used and in good working order to the best of our knowledge. LKQ SKU: LKQ380 ~205779531 SDO00185. We do our best to prevent these issues from happening and apologize for any inconvenience it may cause. 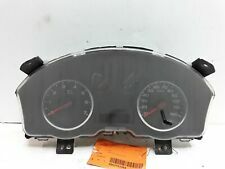 Ford Five Hundred 2006-2006 (Cluster), MPH, SE, ID 6G1T-10849-AA thru AC. LKQ SKU: LKQ740 ~207119014 SDO00182. We do our best to prevent these issues from happening and apologize for any inconvenience it may cause. Ford Five Hundred 2006-2006 (Cluster), MPH, Limited, ID 6G1T-10849-EB. LKQ SKU: LKQ325 ~193948252 SDO00186. We do our best to prevent these issues from happening and apologize for any inconvenience it may cause. 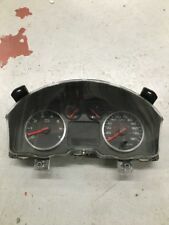 Ford Five Hundred 2006-2006 (Cluster), MPH, SEL, ID 6G1T-10849-CA. 2007 FORD FIVE HUNDRED 500 SEL. GAS ACCELERATOR PEDAL. 3.0L AT SEDAN. ACTUAL PICTURES SHOW DETAILED CONDITION. Defect and/or special notes: NONE . 2006 Ford Five Hundred - automatic. 2007 FORD FIVE HUNDRED 500 SEL 3.0L AT SEDAN. FIVE HUNDRED 07 (Cluster), MPH, SEL, ID 7G1T-10849-CA thru CC. PART BEING SOLD ACTUAL PICTURES SHOW DETAILED CONDITION. ITEM ID: 1552-1. Part number: D258. 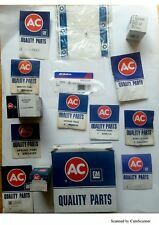 Original OEM Parts. -FREE LOCAL PICK-UP here in MI, PONTIAC 48340. 2007 FORD FIVE HUNDRED 500 SEL. CLOCK SPRING. 3.0L AT SEDAN. ACTUAL PICTURES SHOW DETAILED CONDITION. Defect and/or special notes: NONE . FIVE HUNDRED 2007 -2007 (Cluster), MPH, SEL, ID 7G1T-10849-CA thru CC. Warranties are not transferable. Claims that result from overheating due to cooling system failure. Claims that result from the failure of other components. Free Shipping! 30 Days Warranty! Guaranteed Delivery! FIVE HUNDRED 07 (Cluster), MPH, SEL, ID 7G1T-10849-CA thru CC. We can fix most modern clusters as well as correct mileages/hours. Your old cover should fit this cluster if you choose . Helpful Links. 60 Day Money Back Guarantee!!! Free Shipping!!! FIVE HUNDRED 07 (Cluster), MPH, SEL, ID 7G1T-10849-CA thru CC Ident: 7G1T10849CA Ident: 7G1T10849CB Ident: 7G1T10849CC Mileage 63,472. FIVE HUNDRED 06 (Cluster), MPH, SEL, ID 6G1T-10849-CB. We can fix most modern clusters as well as correct mileages/hours. -Your old cover should fit this cluster if you choose-. Helpful Links. FIVE HUNDRED 06 (Cluster), MPH, SE, ID 6G1T-10849-AA thru AC. We can fix most modern clusters as well as correct mileages/hours. Helpful Links. You will receive everything you see in the picture. 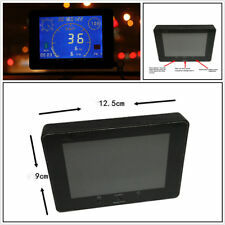 Which is one Head Up Display unit, one OBD-II harness, one non slip pad, one display film and installation instructions in English. Ford (All Models) 2003 HUD20. FIVE HUNDRED 06 (Cluster), MPH, Limited, ID 6G1T-10849-EA. MT = manual transmission. FIVE HUNDRED 06 (Cluster), MPH, SE, ID 6G1T-10849-AA thru AC. We can fix most modern clusters as well as correct mileages/hours. -Your old cover should fit this cluster if you choose-. Helpful Links. He Compatibility Chart is a reference but the part number must match in order to work on your vehicle. FIVE HUNDRED 06 (Cluster), MPH, SE, ID 6G1T-10849-AA thru AC. All parts you see in the vehicle pics are for sale. Keep in mind that the pictures were taken when we received the vehicle, so the part you need could be sold already. FIVE HUNDRED 07 (Cluster), MPH, SEL, ID 7G1T-10849-CA thru CC. C Grade - The third level quality part. B Grade - The second level quality part. It is of average miles and normal condition for its age. FIVE HUNDRED 07 (Cluster), MPH, SEL, ID 7G1T-10849-CA thru CC. We can fix most modern clusters as well as correct mileages/hours. FIVE HUNDRED 06 (Cluster), KPH, SE, ID 6G1T-10849-BA thru BC. We can fix most modern clusters as well as correct mileages/hours. Helpful Links. FIVE HUNDRED 07 (Cluster), MPH, Limited, ID 7G1T-10849-EA thru EC. We can fix most modern clusters as well as correct mileages/hours. Helpful Links. "This may require additional programming"
FIVE HUNDRED 06 (Cluster), MPH, Limited, ID 6G1T-10849-EA. LIMITED,AWD,BLACK,TILT, 6G1T10849EA. No Grade - A part that has not yet been graded. C Grade - The third level quality part. B Grade - The second level quality part. FREE SHIPPING!!! 30 DAY MONEY BACK!! !